Andrew Harnik/Getty ImagesSupreme Court nominee Brett Kavanaugh during a Senate Judiciary Committee hearing. The Senate is just hours away from holding a procedural vote that will determine how lawmakers will move forward with confirming Judge Brett Kavanaugh, President Donald Trump’s nominee for the Supreme Court. 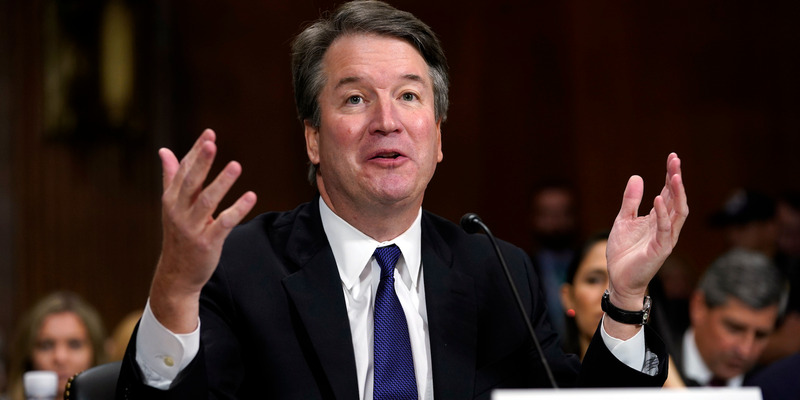 If he’s confirmed, once he’s sworn in, Kavanaugh will begin a lifetime appointment on the bench. But in the final hours, several editorial boards and columnists have sounded off – both for and against his nomination. Recent polling indicates that voters generally hold an unfavorable view of Kavanaugh. 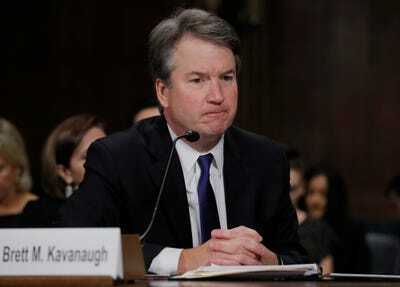 According to analysis from CNN pollster Harry Enten, Kavanaugh is the least-liked Supreme Court nominee since 1987, when President Ronald Reagan nominated Judge Robert Bork. “I know that my tone was sharp, and I said a few things I should not have said. I hope everyone can understand that I was there as a son, husband and dad. I testified with five people foremost in my mind: my mum, my dad, my wife, and most of all my daughters. 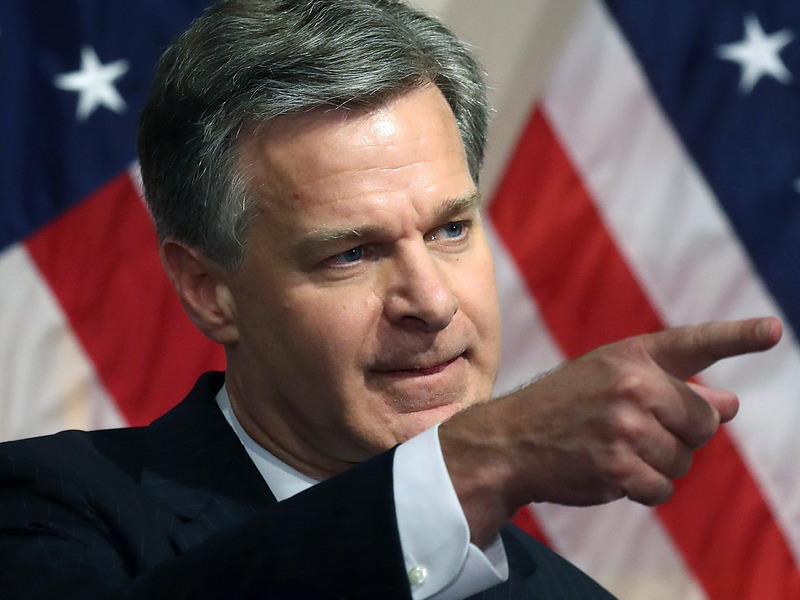 Mark Wilson/Getty ImagesFBI Director Christopher Wray. 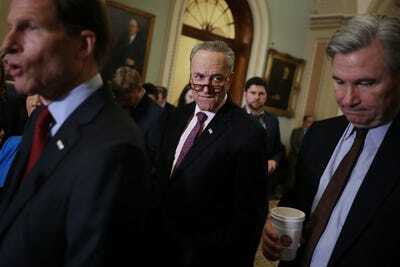 “Frustrated that the bureau hasn’t helped them bring down a nomination they otherwise oppose, Democrats have pivoted to attacking the FBI – specifically, claiming that the inquiry was curtailed to prejudice the outcome by limiting the pool of interviewees. 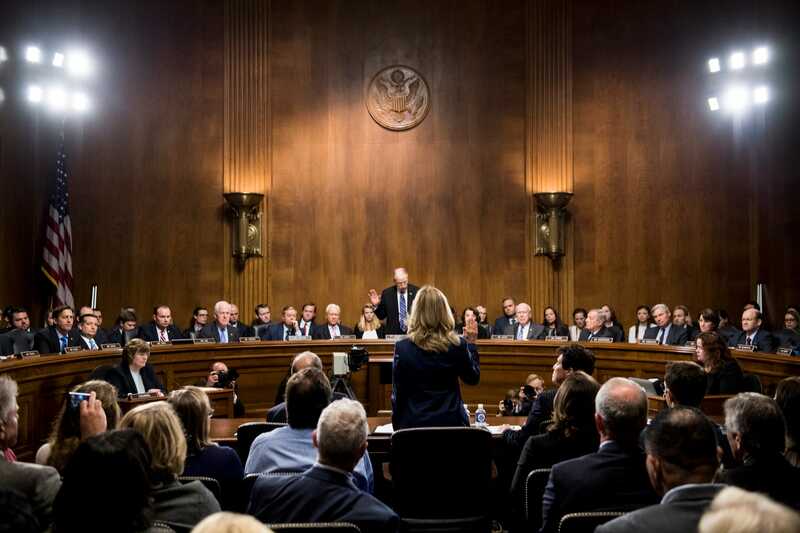 Tom Williams-Pool/Getty ImagesA scene from the Kavanaugh hearing. “Kavanaugh’s opponents are willing to say anything and use any tactics – no matter how unfair and cruel – to prevent his confirmation. And are doing this not because of anything disqualifying in his background or professional qualifications, but simply because of the way they believe he will rule in cases before the Supreme Court. “Protest is not only ingrained in the American story but essential to it. Protest isn’t a threat to our democracy but a means of its preservation. Chip Somodevilla/Getty ImagesSen. Chuck Schumer of New York. 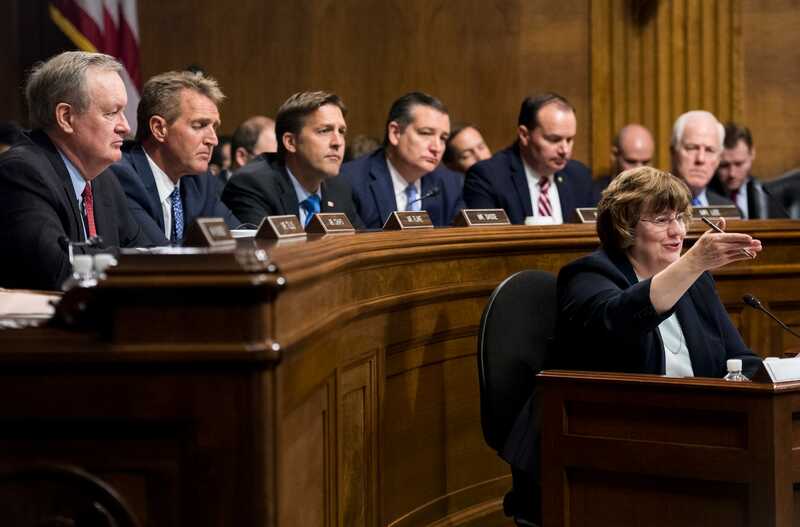 “Kavanaugh’s second appearance before the committee provided a useful elixir to the popular notion that every mystery can be solved in 60 minutes with commercial breaks. The search for truth is often complicated and one of our nation’s glories is the presumption of innocence. 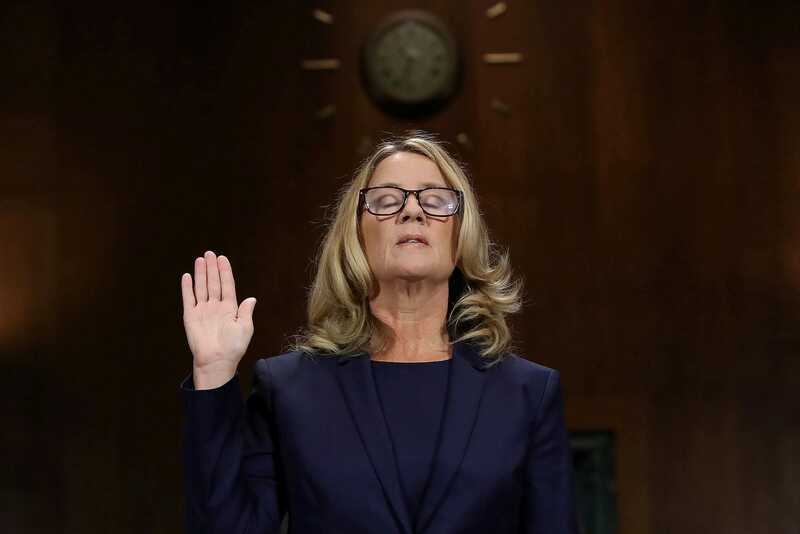 “You may believe credibly believe Ford or Kavanaugh, but you would not want to live in a country in which someone could be convicted of a crime based on what we know from the testimony we’ve heard. The Chicago Tribune’s editorial board said Christine Blasey Ford, a California-based professor who testified Kavanaugh had sexually assaulted her in high school during the 1980s, “showed tremendous courage in coming forward,” but said the judicial process must continue. The Washington Post’s editorial board published a blunt opinion column urging lawmakers to vote “no” on Kavanaugh’s confirmation. “If Mr. Kavanaugh truly is, or believes himself to be, a victim of mistaken identity, his anger is understandable. But he went further in last Thursday’s hearing than expressing anger. Tom Williams-Pool/Getty ImagesFord at the hearing on September 27. “I can’t tell you the truth about what actually occurred back when they were teen-agers – no one can, not even Ford or Kavanaugh. But I can tell you without doubt that one of these individuals is almost certainly more believable than the other. “Human memory is incredibly complex and poorly understood. Unlike computer memory, which normally stores and retrieves information without distorting it in any way, human memory is constructive, creative, and ever changing.